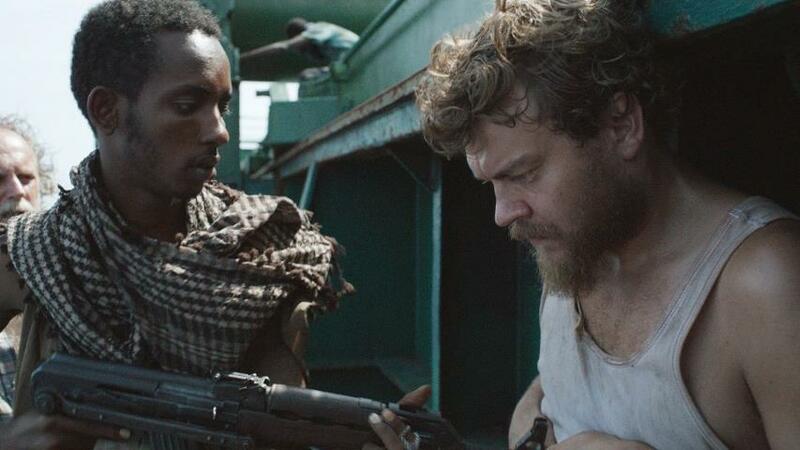 Not to be confused with – though totally understandably to be confused with – Paul Greengrass’ film Captain Phillips, Tobias Lindholm’s A Hijacking takes a cold, almost procedural approach to what happens when a Danish cargo ship is taken hostage by Somali pirates. Playing out as much in the boardrooms of the Danish parent company as it is on the cargo vessel itself, the film is a real eye-opener: when this stuff happens, there’s no-one to call for help. 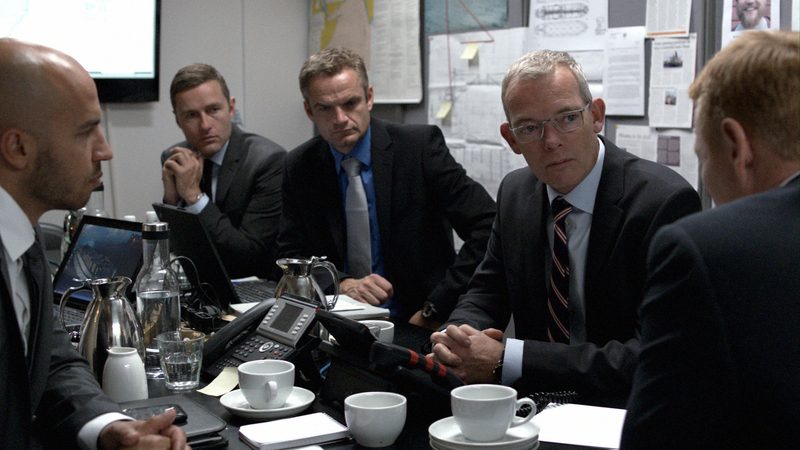 Fans of Borgen will instantly recognize – and be delighted by – the two leads. Pilou Asbæk plays the ship’s cook, through whose perspective we witness the assault on, and takeover of, the vessel; back in Denmark, the great Søren Malling (whose English at least seems good enough for him to hop over the icy waters into some British films, if he so desired) plays the CEO of the shipping company. When word comes that the ship, in the Indian Ocean, has been invaded, negotiations begin. Those negotiations are the spine of the film, and the cut and thrust of them are chilling. No police are called, because what police patrol the Indian Ocean? No navy has jurisdiction, and this is a real world without Bruce Willis, let alone superheroes. Indeed, there are no heroes here, only men rising to a terrible task. Malling’s character Peter must deal with the pirate’s well-spoken spokesman, Omar (Abdihakin Asgar) through an echoey, crackling phone line and a fax machine; he is supported by a British hijacking negotiation specialist and his 2IC, but, really, it’s him and his supposedly brilliant negotiating technique being put to the test. The trouble is, the people he’s negotiating with have a completely different world-view, set of values, and agenda to his; they are like a disembodied, terrifying ghost, whose greatest ace in their hand is their complete disregard for time. The film plays out over hundreds of days. Shot formally in the austere offices of the shipping company and hand-held on the vessel, with spare sound design and long stretches of silent tension punctuated by sudden bursts of piratical activity designed to break the spirits of the onboard captives, A Hijacking is an exercise in precise filmmaking. It is a fascinating look at a problem that very few of us will ever face; I haven’t seen Captain Phillips yet, but it will make, I’m sure, for a fascinating comparison. Lindholm wrote one of 2012’s best films, The Hunt, and is the chief writer on Borgen. 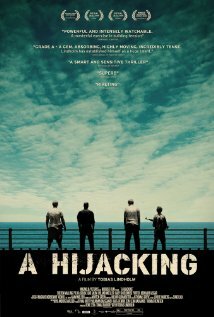 A Hijacking is only his second feature as director; I will now make it my mission to see all of his coming work, and I can’t wait. Always enjoy your posts, Film Mafia. As you say, I too am interested in this and ‘Captain Phillips’ especially since I was trying to garner interest in a similar movie idea way back in 2007.